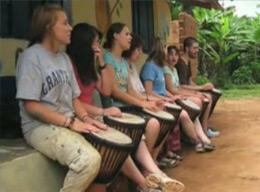 A volunteer from the US speaks about his volunteering experience in Senegal. He describes his placement and encourages others to travel. A Care volunteer from England talks about his placement and explains why he chose to volunteer with Projects Abroad. 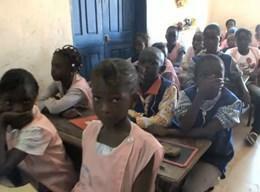 A Teaching volunteer from South Africa talks about her time in Senegal and explains why she chose to volunteer with Projects Abroad. A volunteer from France talks about her time working with the talibé children; including helping with medical treatments and managing budgets. Three volunteers on the Music & Culture project talk about their time in Senegal and what they enjoy about the project. A Projects Abroad volunteer speaks about how his volunteer experience has influenced his career choices and what he enjoys about Senegal.